I often get asked this question at different forums: how does one go about getting a PhD in the USA. 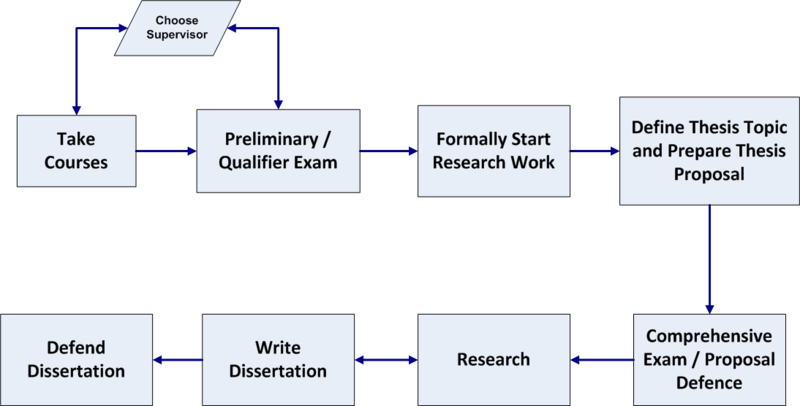 Just this week I gave a talk to prospective PhD applicants regarding this whole process, and I presented a flowchart as a roadmap for the USA PhD. It received great feedback, and I’m thus sharing it on the blog. I hope it will be useful. Please note that this is a generic roadmap, and will differ for different fields and subjects of study. However, for most science and engineering fields, this is the general process followed. This entry was posted in Uncategorized on March 6, 2015 by WQ.